Robert A. Berry, Jr. – Robert A. 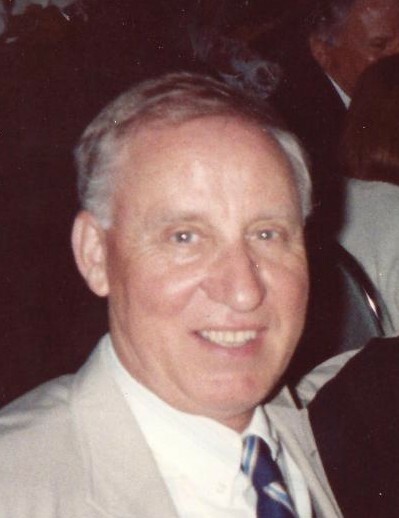 “Bob” Berry, Jr. 87, died Wednesday, April 3, 2019 at the Morningside House of Friendship in Hanover after a long battle with Alzheimer’s disease. Mr. Berry was a resident of Morningside House since November 2018. Beloved husband, father, grandfather, brother, and uncle, Bob was born in Baltimore, MD on December 10, 1931 to the late Robert A. Berry, Sr. and Frances Cross Berry. After the end of WWII, his father moved the family back to his birthplace in Talbot County, MD, first residing in Newcomb and later in St. Michaels. After graduation from St. Michaels High School, Bob enlisted in the US Navy, serving four years in the Pacific Theatre on the destroyer USS John W. Thomason during the Korean War conflict, until his honorable discharge in 1953. In 1954, Bob became a student at the University of Maryland College Park, earning a Master’s degree in Entomology. After graduation he was offered a position at the State of MD Department of Agriculture field office in Salisbury where he remained until his retirement in 1993. Bob is credited with helping to spearhead the Mosquito Control program on the Eastern Shore, and later served as President of the Mid Atlantic Mosquito Control Association. After his retirement, he returned to work part-time at the Department of Agriculture, working in the lab to identify mosquitos carrying potential deadly viruses like West Nile and equine encephalitis. A resident of Salisbury, MD for nearly 60 years, Bob is survived by his wife of 57 years, Naomi Parker Berry; a daughter, Elizabeth A. Raistrick (Jeff) of Severn, MD; three grandchildren, Michael Williams of Crofton, MD, and Sarah and Emily Williams, of Severn; three sisters in law; Kay Hickson (Mike) of Salisbury; Patty Fisher (Clayton) of Easton, MD and Jan Berry of Lutherville, MD along with two nieces and two nephews, and several cousins. A brother, Jon R. Berry, predeceased him in death in 2017. Mr. Berry was an avid reader of non-fiction, especially military history. It was not uncommon for him to be reading three or four books at one time. He also loved fishing and crabbing, and would often retell stories of his youth with his brother and their labs that would conjure visions of a Rockwellesque childhood. He enjoyed baseball, and especially the Orioles. He could often be found sitting on his porch on a summer night, listening to the O’s on an old transistor radio. Even after his diagnosis of Alzheimer’s, he could consistently recount names of players and their batting averages from his high school baseball team. Bob’s other hobbies included coin and stamp collecting, crossword puzzles and gardening. Bob was a wonderful husband, father and grandfather. He loved the smell of a pie baking, working in his garden, and attending his grandchildren’s school or sporting events. He had a great sense of humor and an infectious laugh. He loved spending time at the beach and walking on the boardwalk or in the Salisbury City Park. He had a weakness for anything chocolate, the wet nose and soft ears of a dog, and children. His beloved “Peanut Dog” as he affectionately called her, was never far from his side until her passing several years ago. Bob was a member of Asbury United Methodist Church in Salisbury, and a past member of the Salisbury Junior Chamber of Commerce, and Salisbury Rotary Club. Final arrangements are being handled by Singleton Funeral Home in Glen Burnie, MD. Funeral services will be private. Bob will be laid to rest in the Maryland Veteran’s Cemetery, Crownsville, MD. The family asks that donations in his memory be made to the Maryland Society for the Prevention of Cruelty to Animals (MD SPCA) or the Alzheimer’s Association of Greater Maryland.